I first met Tony through our mutual friend, Kim Fahner. He’d been one of her teachers, and she credited Tony for setting her on the writer’s path. 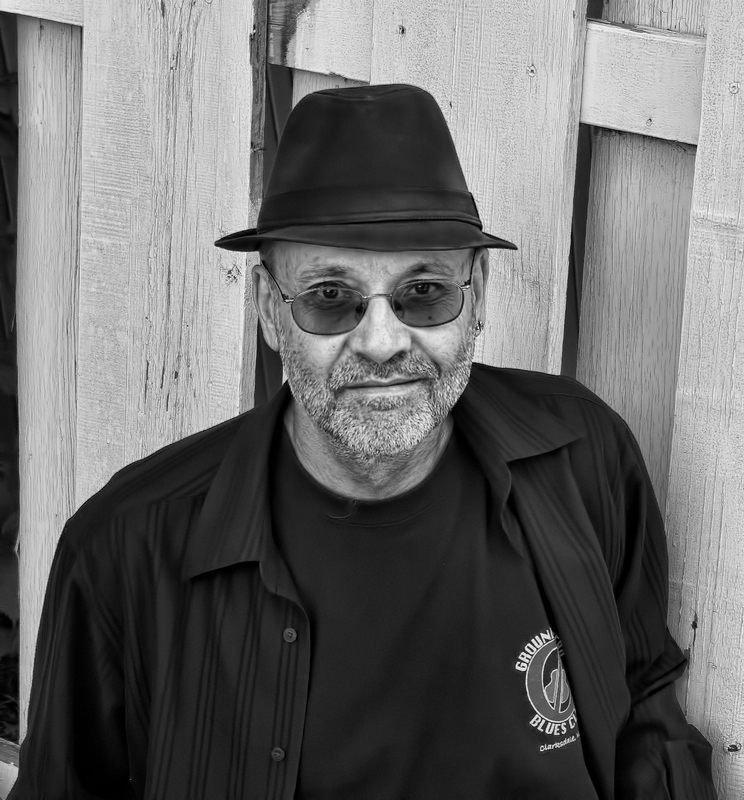 Tony is an award-winning author of short stories, a published poet, spoken word performer, and photographer. I may have missed a few things in there. This man does a lot of creative work, all of it excellent. Now he’s published his first horror novel Penage. WG: When did you first start writing, and when did you know that you were a writer? AA: I realized the power of words when I was a boy and my father would tell us marvellous fantasy adventure stories at bedtime. In elementary school, I could amuse people with silly verse. My grade seven teacher read a poem I wrote and called me a communist. In high school I began writing for personal solace and satisfaction. But it was not until I was about twenty that I wrote anything that contained a poetic perception. WG: You work in different genres and forms. How is each different, and what do you like best about each? AA: Poems and short stories exist as completed entities before I record them. They seem to be whole when I bump into them, but I will do some mental editing before writing them down. The novel Penage was different in the sense that it was in progress for a long time, but it did seem to have its own existence. It flowed out of itself. Things I wrote down one night had a significance that became clear to me nights later as the story revealed itself. WG: You were a teacher for many years. How has that part of your career played into your writing, or was it the other way around? AA: Sometimes my enthusiasm for literature was evident when I was in the classroom, but schools are the antithesis of a creative environment. Teachers and students are carried along by institutional inertia. WG: When and how did the idea for Penage first strike you and how long did it take to bring your project to fruition? AA: Judy and I have a small piece of land on the shore of Lake Penage. It was given to us by Judy’s parents. My father-in-law told me about a plane crash near our camp. He also told me about retrieving a frustrated fisherman’s lost gear. I was disappointed when electricity came to our area of the lake. All these events and a what if perspective blended together in my mind without much effort from me, and a horror novel was born. I wrote the story at camp over twenty years ago. During June and half of July, I would write for two or three hours beneath a propane light after everyone else went to bed. In the morning I would read the results to Judy. In July, my brother-in-law, who also had a camp on Lake Penage, died suddenly. 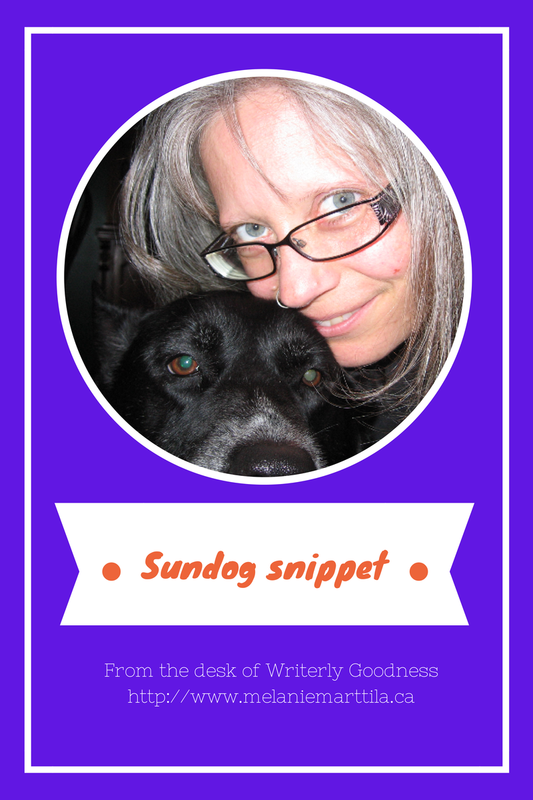 I was staggered by his passing and can’t remember exactly when I got back to writing the story. Some time later, I did get back to my routine and finished Penage. It was not until this year that the original work got a serious editing by Ignatius Fay and me. The ebook is the final product. WG: I’m a big process geek. Would you mind sharing something about your process as a writer? AA: I am not a process geek. I am even reluctant to emphasize the role of the writer. I feel more like a recording secretary. I bump into ideas and record them. I think this is especially true of my poetry. I perceive something and write it down. I am not responsible for what I perceive any more than I am responsible for what I hear or smell. AA: A print version of Penage is in the works. I am toying with the idea of a short story collection. When I bump into poetic perceptions of godless spirituality (I hate the word spirituality), I record them. I may look for an opportunity to present them publicly in the future. Thanks for a great interview, Tony. Best wishes for your future creative endeavours. 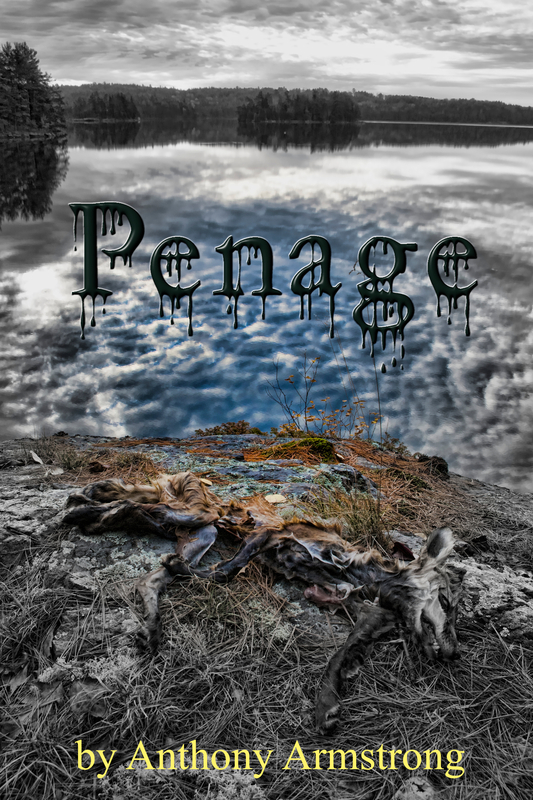 Penage is the story of Madison Green, a man with a violent, possessive personality. His distrust of others leads to his having too many x-rays. He pilots a plane that is struck by lightning—twice. The lightning and the overdose of radiation transform him into a physical and psychological beast. The plane crashes into Lake Penage, and the beast lives secretly in its waters for many years. The remains of the plane are his prized possessions, and when they are disturbed and displaced, unwanted contact with human beings becomes inevitable. protects what is his but destroys almost anything else it makes contact with. As the beast reacquires his possessions he comes to see himself as master of the lake; he comes to think of himself as Penage. Even some of those who encounter the beast doubt its existence, and any public suggestion of its presence brings ridicule. A drunk, a school teacher, a widow, a marina owner, and a truck driver are forced to deal with the beast. Facing the beast means facing danger, terror, and death. Second, I’ve been away at the Canadian Authors Association CanWrite! conference 2013. There was much writerly goodness to be shared, but no signal in the lecture hall, so I couldn’t Tweet the sessions as I’d hoped to. I will be blogging them, however, even if after the fact, and just so I don’t get completely out of step, I’m going to be doing something I haven’t done in a very long time: I’m going to blog daily until I’ve got it all transcribed! Also, there are big things happening with the CAA, and I’ll save that for the wrap post. Michael Reaves’s Blood Kiss has been funded through Kickstarter at over $88,000. The movie is a go, but there’s still much work to be done. I’ll pass along updates as I receive them for those who were partial. Though the Margie Lawson course is now over, I’m not going to blog it. Unfortunately, after about the half-way mark in the month, I fell behind and have not finished the course. The information was great and I would definitely recommend Margie, but I think the best way to experience her courses is to participate in one of her in-person intensives. I think that’s a critical piece of the puzzle that I missed out on. Also, I would suggest starting out with the EDITS system course. It is the foundation of the other courses Margie teaches, and though you can purchase and download the course materials, I don’t think that it can be a substitution for the live Margie experience. I received my contract from On Spec this week. This was the happy-dancing news I received back in April. They wish to purchase one of my stories for the publication (over the moon). On Spec is one of the most respected and longest running speculative fiction magazines in Canada. It is a true pleasure to be honoured with their acceptance. I’ll be posting an interview with Anthony Armstrong shortly.